England were on fire at Twickenham on Saturday as they rolled through a lacklustre France side. Jonny May’s first-half hat-trick set the tone for a dominant 44-8 home win, where Owen Farrell collected 17 points and widespread praise. France, meanwhile, have work to do ahead of their clash with Scotland in Paris in two weeks’ time. Jonny May wondering why he isn’t wearing a training bib. The England captain put in an almost faultless performance at HQ. Owen Farrell cool as a cucumber band calming his team-mates down. England peaking in a World Cup year  The hype is real! 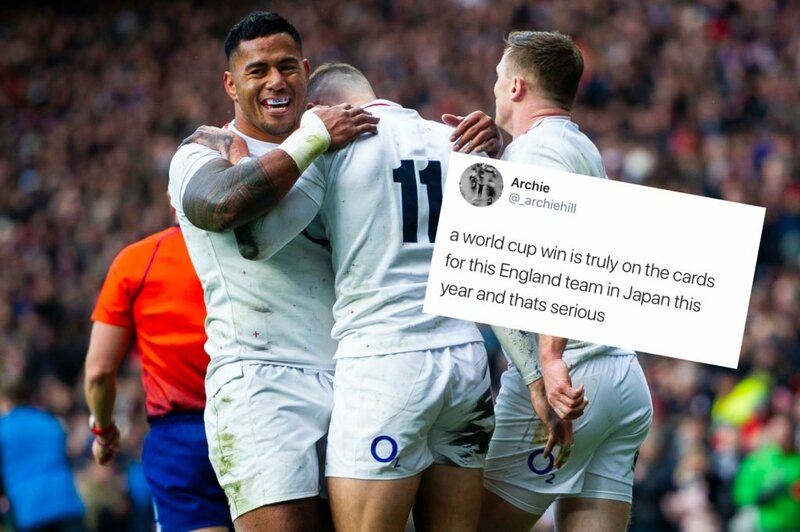 England will provide a big challenge to the All Blacks in the World Cup later this year. What a performance today. They absolutely decimated France 44-8.